… woes are the coming crop of streaming game services from Google (GOOG, GOOGL), Ubisoft, Microsoft (MSFT) and Nvidia (NVDA), among others. Teenage boys love video games. Nowhere is that better illustrated than in Piper Jaffray’s latest survey, Taking Stock with Teens, which helps us non-teens better understand teens’ consumer spending habits. According to the survey, teenage boys spend 14% of their budgets on video games. That’s more than anything else outside of life necessities like food and clothing. Free-to-play games like the incredibly popular “Fortnite” and, more recently, “Apex Legends,” are also helping to capture new gamers, and, surprisingly, getting more players to pay for premium games. What’s more, 60% of all teens teens said they now prefer downloading their games to buying physical media, versus 55% this time last year and 45% the year before, which means big benefits for game publishers. But it also spells serious trouble for the likes of video game retailer GameStop (GME). Teen boys in particular spent the most on games, while teen girls spent 1% of their budget on video games. That’s in stark contrast to the gender breakdown of gamers across the age spectrum, which, according to a study by gaming industry research firm Statista, shows that gamers are 55% male and 45% female. The survey asked teens how games like “Fortnite” impact their decision to purchase other games, with 13% saying they planned to buy more games after playing Epic Games’ hit, up from 7% in fall 2018. 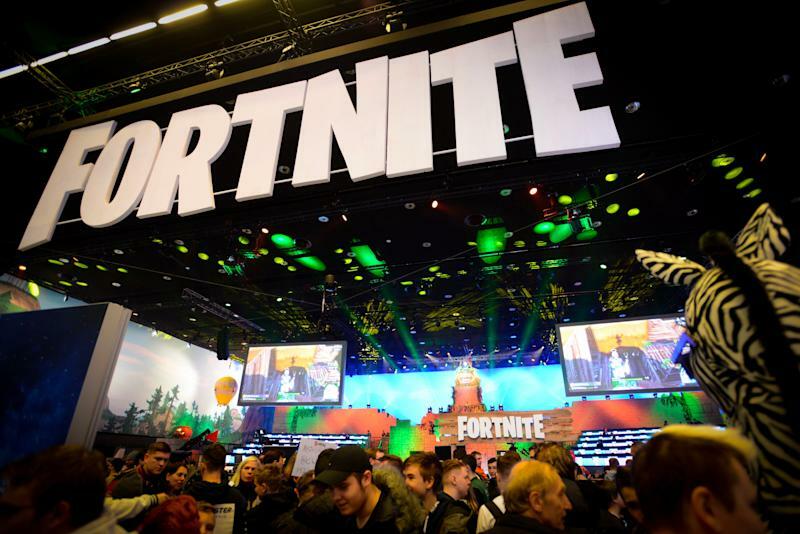 What’s more, the number of teens who said they would buy fewer games decreased from 37% to 36%, meaning that “Fortnite” is getting teens to buy more titles. That should be a boon for game publishers and developers, but it’s not likely to help retailers that sell physical copies of games. The primary reason for the rise in game downloads is that it’s easier to buy a game online and download it in less than an hour than to have to go to a store and buy a physical disc or cartridge. But the publishers’ gains are GameStop’s loss. Beyond losing revenue as fewer customers buy physical games, the company will continue to see a decrease in the number of people trading in old titles. GameStop uses traded in games to sell them at a higher margin than new games. What’s more, online retailers already significantly reduce the price of games just a few weeks after they initially hit the market, so there’s no longer such a need for gamers to buy used games as a means of saving a few bucks compared to new copies. Adding to GameStop’s woes are the coming crop of streaming game services from Google (GOOG, GOOGL), Ubisoft, Microsoft (MSFT) and Nvidia (NVDA), among others. Microsoft and Sony, Olson said, are also expected to launch versions of their next-generation game consoles without disc drives at some point in 2020, which would further impact GameStop. One thing is for certain, though. Gaming isn’t going away anytime soon. GUNGHO ONLINE ENTERTAINMENT INC TOKYO OR (OTCMKTS:GUNGF) noted an increase of 45.08% in shares shorted. In April was issued GUNGF’s total 3.14M shares shorted by FINRA. The 2.16M previous shares are up with 45.08%. $2.03 was the last price.It’s since April 6, 2018 and is 0.00% down. The stock underperformed the S&P500 by 4.37%. GungHo Online Entertainment, Inc. plans, develops, operates, and distributes online computer games, smartphone applications, and console games.The firm is worth $. The firm was formerly known as ONSale Co., Ltd. and changed its name to GungHo Online Entertainment, Inc. in August 2002.Currently it has negative earnings. For more GUNGHO ONLINE ENTERTAINMENT (OTCMKTS:GUNGF) news released recently go to: Seekingalpha.com, Fool.com, Seekingalpha.com, Midasletter.com or Seekingalpha.com. The titles are as follows: “Gungho Online Entertainment Inc. 2018 Q1 – Results – Earnings Call Slides – Seeking Alpha” released on April 30, 2018, “Aurora Cannabis: 3 Reasons to Buy, 3 Reasons to Sell – The Motley Fool” on May 28, 2018, “The 6 Red Flags Of Creative Edge Nutrition – Seeking Alpha” with a publish date: July 23, 2014, “Market Not Fully Buying Into Aurora Cannabis Inc-MedReleaf Corp Acquisitionâ€¦ Yet – Midas Letter” and the last “Seeking U.S. And Asian Deep Value Stocks With The Acquirer’s Multiple – Seeking Alpha” with publication date: March 09, 2016. GUNGHO ONLINE ENTERTAINMENT INC TOKYO OR (OTCMKTS:GUNGF) noted an increase of 45.08% in short interest. In April was issued GUNGF’s total 3.14 million short interest by FINRA. The 2.16 million previous shares are up with 45.08%. $2.03 was the last price.It’s since April 6, 2018 and is 0.00% down. GUNGF underperformed by 4.37% the S&P 500. For more GUNGHO ONLINE ENTERTAINMENT (OTCMKTS:GUNGF) news posted briefly go to: Seekingalpha.com, Investorplace.com, Midasletter.com, Seekingalpha.com or Seekingalpha.com. The titles are as follows: “Seeking U.S. And Asian Deep Value Stocks With The Acquirer’s Multiple – Seeking Alpha” posted on March 09, 2016, “Alibaba Group Holding Ltd Earnings Beat Canâ€™t Hide Warts – Investorplace.com” on November 06, 2017, “Market Not Fully Buying Into Aurora Cannabis Inc-MedReleaf Corp Acquisitionâ€¦ Yet – Midas Letter” with a publish date: May 15, 2018, “Gungho Online Entertainment Inc. 2018 Q1 – Results – Earnings Call Slides – Seeking Alpha” and the last “Digging Into Hudson’s Bay’s Action Plan – Seeking Alpha” with publication date: June 10, 2017. Known for his love of video games, Elon Musk is planning the launch of more free games to the dashboard displays of the Model S, Model X and Model 3. Super Breakout and 2048 are joining other Atari classics like Missile Command, Asteroids, Lunar Lander and Centipede, which were added to Tesla models last year. Although many might think the feature is simply just a gimmick, the auto manufacturer claims that hundreds of thousands have now played the games. Tesla has already started rolling out its update now, but it may take a few weeks to make it to every Tesla dash display. For those who really want to play Super Breakout and 2048, connecting your car to wifi will get you the update sooner. In case you missed it, Ben Baller gots trapped in his Tesla months after gifting Elon Musk a $40,000 USD ring.